Imagine if you could go on Bachelor in Paradise without having to stress about getting that final rose or Chris Harrison giving you a pep talk as he pours you another drink. Skip the BS and enjoy the beach at your doorstep, work out with the best of the best trainers, and make new friends (that won’t steal your man). We’ve got more than 5 hours a day of fitness games, beach bootcamps, boxing lessons, surfing lessons, swimming, and hiking - you’ll be sleeping just fine after these jam packed days! The nights are well deserved of diners on the beach watching the sunset, specialty cocktails, dance lessons and partying in town. 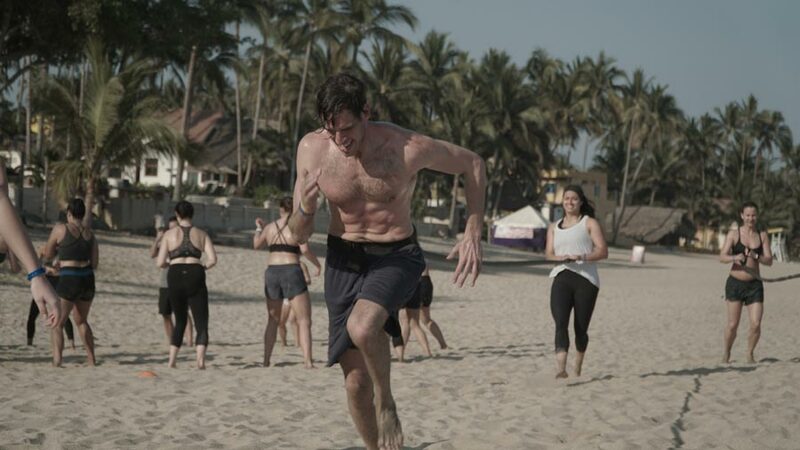 Our food partner SALUD will serve up big healthy meals and our professional photographer will be there to capture everything from your morning athletic prowess to your first wave. People don’t know this but Sayulita has a vortex that circulates the most beautiful energy around the area. This is the perfect place to clear your mind, find perspective and build the strongest relationships of your life! This is a chill day to just test out some workouts, test out the tequila and SALUD's cooking, grab tacos in Sayulita, enjoy the beach, and take in the the calm before all 35 guests arrive. $250/person per day, space is limited for extra day option. Please email dude@surfyogabeer.com to request the extra day option. *Transportation from airport is not provided for extra day option. Flight information coming soon. 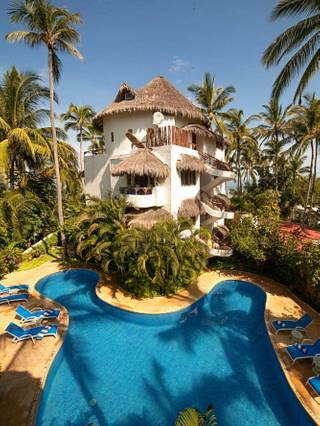 Arrive early, we'll let you know about the SYB van transfer to Sayulita from Puerto Vallarta, about a 50 minute drive. We'll get to know each other and our amazing location. Dinner is served at 9pm, dancing is rampant, and lights go low and the disco balls come out. Where this night takes you is your story, but this is just day 1. Next comes boxing lessons, we'll break down in smaller groups and get a run down of footwork, how to wrap, punch, defend and look good with gloves! Expect to drill in an hour of this per day to get your boxing game up! 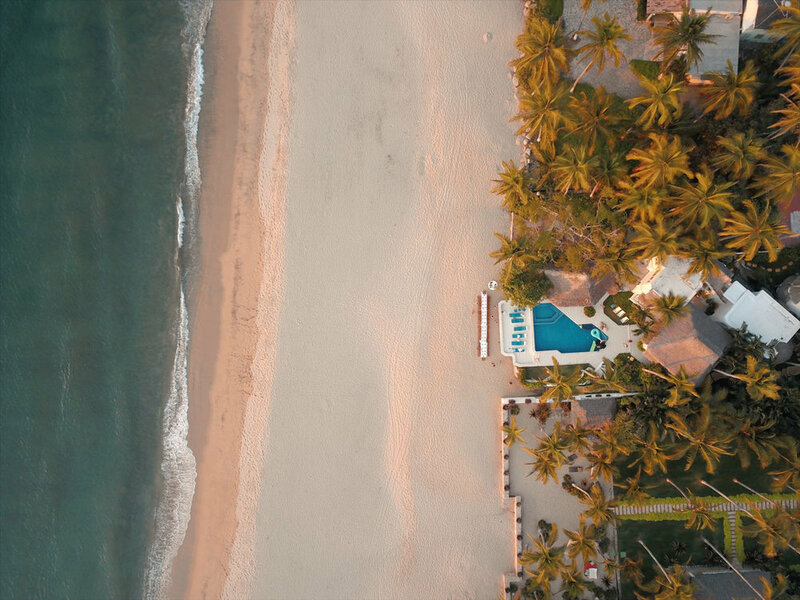 Then head to explore the surf town of Sayulita, grab a green juice, talk to locals, head to the beach, grab lunch, ride a golf cart and enjoy a cold beer laughing with friends all before it's even 4pm. We head back to our house, slip on our gloves and it's time to learn some boxing. We box while the sun goes down, everyone stops what they are doing as the sun is about to set, we hand a drink in everyones hand and cheers to one of the most beautiful 24 hours you've ever had. Sleep in friends, we know last night was crazy. We'll start the day at 10am. This hike is where you find out how beautiful and spiritual the vortex of Sayulita really is. Our hike is only 3-4 hours, so after lunch in town to focus on surfing, standup paddle boarding, and anything water related! We'll get back to the house to cool off and we finish the day with a beautiful sunset yoga session. Our night will have plenty of SYB surpises to keep you entertained as we have dinner at home. Easy morning bootcamp because we'll be focusing on workshops on how to wrap, footwork, punches, and defense. Expect to dramatically improve your boxing technique today. We'll break into groups and do semi-private sessions to get more personal time with the coaches. As the sun set's we pull out the yoga mats and stretch out our sore bodies. We'll take the yoga practice to a deeper level, this is where magic happens. We finish our night with a beautiful dinner on the beach in front of our home. We'll present SYB awards, share stories, and then party our asses off for our last night together! We'll have optinal afternoon boxing workouts while the sun is going down. Some of us will probably just be enjoying the sunset with delicious SALUD drinks in hand. We have dinner at our home tonight and play fun games throughout the night! Everyone will be checking out at 10am and be taking the SYB van to Puerto Vallarta airport by 10am. You can leave luggage at our hotel if you have a later flight. Boxing gloves and wraps, if you purchase SYB Gloves, we’ll also include wraps and bring them for you on the trip if you want. 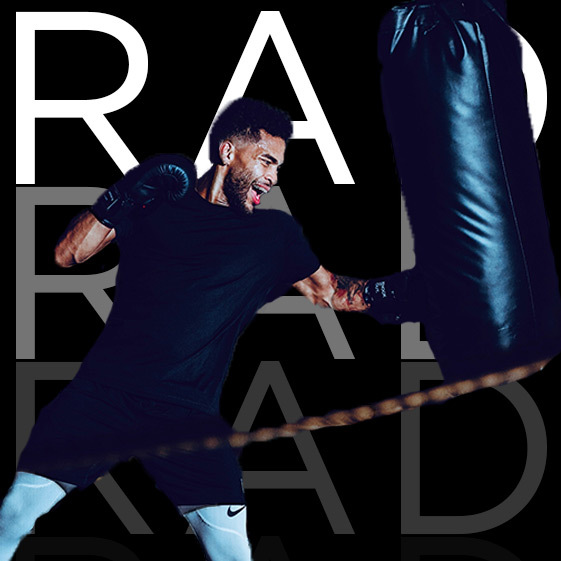 From the hustle of NYC, Rad has been boxing long enough to give you a full understanding of this world. Expect to get your footwork, positions, and combos to improve dramatically! If you’re in NYC you’d try his class at Shadowbox to get a taste of what’s Rad! He’s a big boss in body weight, hand stands and making people smile…. And umm he’s got a six pack dude! She started by coming on SYB trips, now she’s leading them! Sarah is also the assistant for our SYB Academy Teacher Training program! 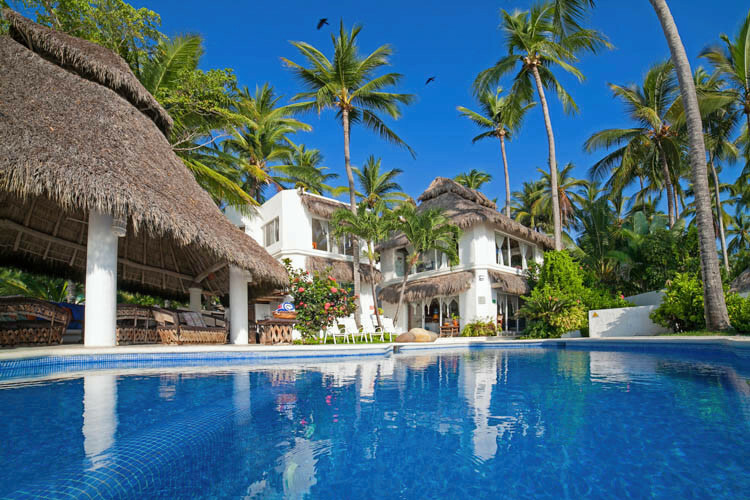 This small boutique hotel features fourteen villas and a private house located right in front of the Sayulita beach where you can see the surf from yet is still far enough to have our privacy. There is cleaning service everyday, fast wifi, 2 heated pools, and a large area for our yoga, boxing and night shinanigans! On May 6, we'll have shuttles from PVR airport at 10:30am and 3pm so you can pick any flight that arrives around one of those times to make transportation work. On May 11th, airport transfer leaves at 8:30am and we'll be arriving at PVR airport by 10am so any flight that departs after that would work. 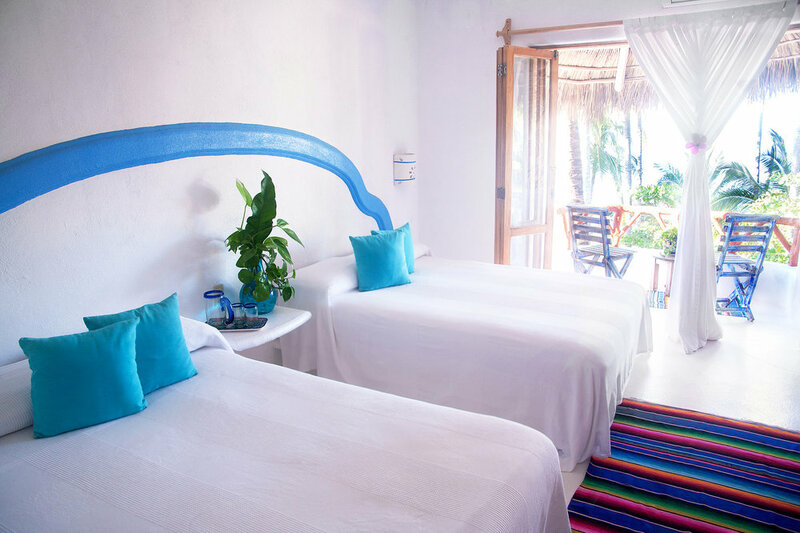 We are going to Casablanca Hotel in Sayulita.